Rigoni di Asiago (Italy’s best-selling brand on the jam)’s product special sale will be held. 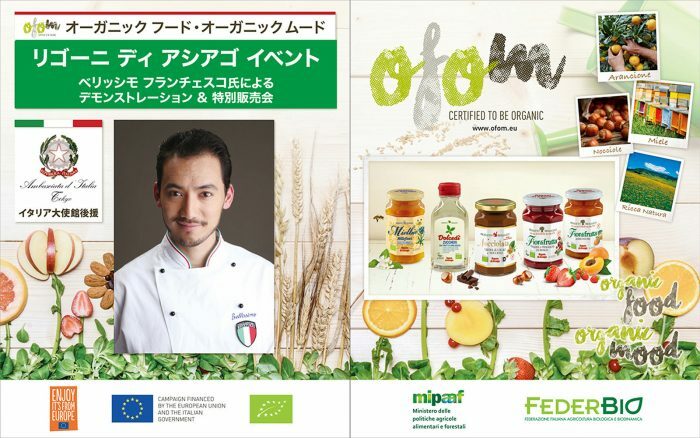 From 2pm on Sep 30 (Sun), we will have a special guest Francesco Bellisimo, cooking specialist and a present a cooking demonstration of Italian sweets with using sugar-free jam, Rigoni di Asiago. We look forward to welcoming everyone.